7,000 years in eight dioramas. There are countless historic dates, events, and images associated with the title "The History of our Civilization". We aimed to create a circumstantial exhibition which depicts living conditions of different eras in human history, and as many key events as possible, in an almost tangible manner. 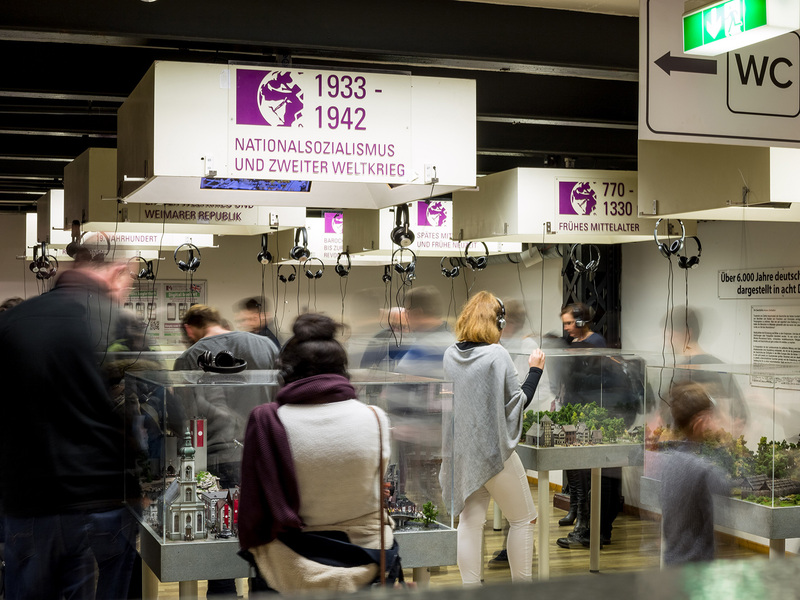 In cooperation with the Federal Center for Political Education Hamburg we created eight diorama in more than 7,000 working hours, depicting more than 6,000 years of German history. Of course, these diorama are compressions, if you will, as we were not able to recreate all scenes to the likeness of historic reality, on a small layout area. The challenge in sculpting this exhibit was the circumstance, that many of the figures, buildings, landscapes, or vehicles as needed, were not purchasable at all, and thus, had to be emulated by hand.